Officer Tyson Dennis is seen with Chief of Police Sherman Jackson and Assistant Chief Dowell Brenn. 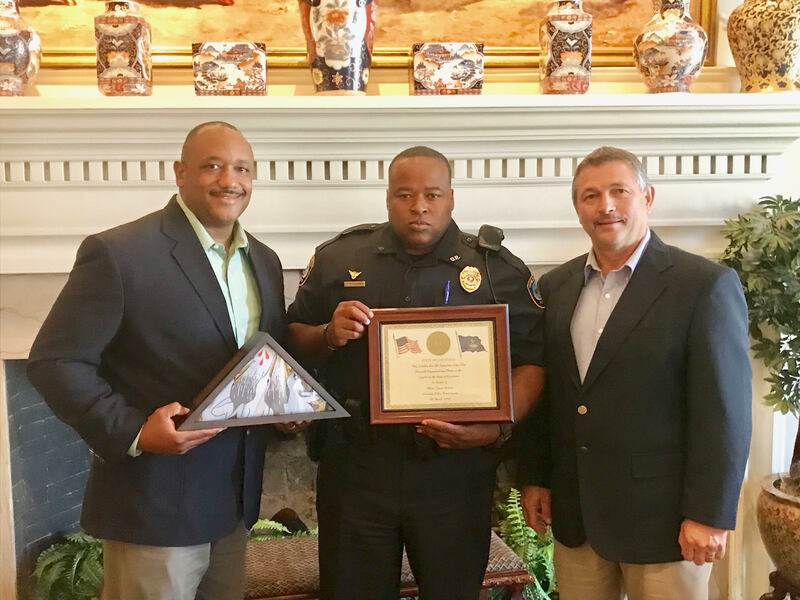 On March 20, City of Gonzales Police Department Officer Tyson Dennis was recognized by the Beyond The Badge Louisiana organization in the form of the distinguished Heart of Law Enforcement award. Each year, officers are nominated by their agencies or the public for acts of kindness that went above and beyond the call of duty. Officer Dennis was selected after he was photographed allowing a young boy dressed in a police uniform to pretend he was a real officer and make “fake” traffic stops. The public’s delight was well seen throughout the city, and numerous calls and messages were sent in commending the touching moment. The young boy’s mother was so moved, that Officer Dennis was also invited to attend the little boy’s birthday celebrations. Not only did he attend, but he brought a slew of first responders with him to join in the fun. Officer Dennis was among a number of recipients honored at a luncheon at Boudreaux’s Banquet Hall in Baton Rouge. 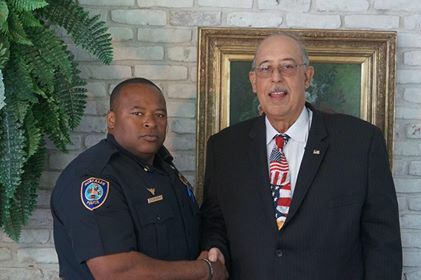 City of Gonzales Police Chief Sherman Jackson and Assistant Chief Dowell Brenn were proud to stand by Officer Dennis’ side. Lieutenant General Russell L. Honore was the Keynote Speaker, with WAFB’s Kiran Chawla serving as emcee. We are so proud of Officer Dennis, and tremendously thankful for the support shown from the Gonzales community is seeing to it that he was recognized for such a prestigious honor.